Postproduction for my debut feature, Life Just Is, started back in November last year (the film was shot over 14 days in October). 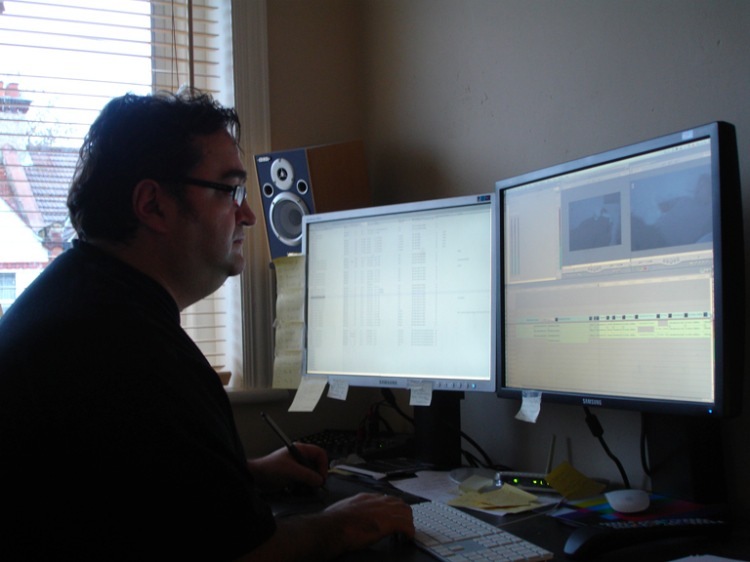 My editor, Murat Kebir, was very keen to spend time organising all the footage before we began cutting together, so I took it as an opportunity to familiarise myself with the rushes. I spent a couple of weeks going through the footage in detail, making notes on every take, focusing my thoughts on three specific areas: performance, visuals and audio. By the time I was finished I’d covered 75 sides of A4 paper. Murat, meanwhile, was still hard at it, transcoding the H.264 files into Apple ProRes (we shot on a Canon 5D), synching up the audio (which our sound man, Jason Creasey, had provided as .wav files straight from his hard disc recorder) and compiling a detailed logging database within Final Cut Pro. This database has come in handy throughout the postproduction process, and was a brilliant idea of Murat’s. Essentially, it gives us information such us how many angles we have for each scene, how many takes we have of each angle, and whether the takes contain multiple performances (I often like to reset the actors and get a second take without cutting the camera, as I find it helps to keep momentum going). The database also gives us technical information about the footage, and over time we’ve added comments to it so that we can tell at a glance what we think of certain takes. Murat’s use of databases has continued throughout the postproduction process, and he’s been using a piece of software calledBento to keep track of the endless notes I keep sending on each scene. Even before we’d shot the film, we’d put quite a lot of thought into our postproduction process, and, although in honesty it was fairly rough, we did have a postproduction schedule that we wanted to stick to. This schedule was partly dictated by the fact that our producer, Tom Stuart, was due to be out of the UK for over a month from early January, and I really wanted him to see a cut before he left. Although some directors like to take their time on the first cut, this isn’t how I work. I was desperate to get a complete cut of the film as quickly as possible: not because I’m impatient, but because until I’d seen the whole film I felt like I couldn’t really make any informed decisions. I needed to see if the story was coming through, if the structure was working, if the performances were consistent: editing consists of a careful weaving of elements and I wanted to have a proper sense of the bigger picture, the overall pattern, before getting bogged down on each individual thread. I also wanted to make sure that we had everything we needed and that we weren’t going to have to do reshoots or pickups (because if we did, I wanted to do them as soon as possible, before the rest of my team got busy with new projects and forgot about their work on Life Just Is). As Tom and I had worked closely on the development of the script, it made sense to me that he should be a part of this process, and that we therefore needed him to see a rough cut before he left. As Murat was still busy with his organising, he suggested that I do a paper edit of the film. To me, this made perfect sense. One of the things that I’m aiming to achieve with Life Just Is is a synthesis of form and content, and this means that there is a lot of thought behind the coverage for each scene. As a director who has a fair amount of experience in editing, I always think well in advance about the way the scenes will cut together (and I’d also involved Murat in the storyboarding process), and with this film I really wanted every cut to be motivated by – for want of a better expression – character psychology (this is also the way my cinematographer Yosuke Kato and I had decided upon most of our angles). Working on the paper edit allowed me, for better or worse, to stay in the realm of these somewhat abstract ideas and create the film around them. Had we gone straight into cutting footage, I honestly think that many of them would have got lost or fallen by the wayside as we got distracted by the material plasticity of the footage itself. Yet by creating the first edit on paper, I was able to use my notes and my familiarity with the rushes and turn them into a complete cut while still keeping my initial ideas in clear sight. 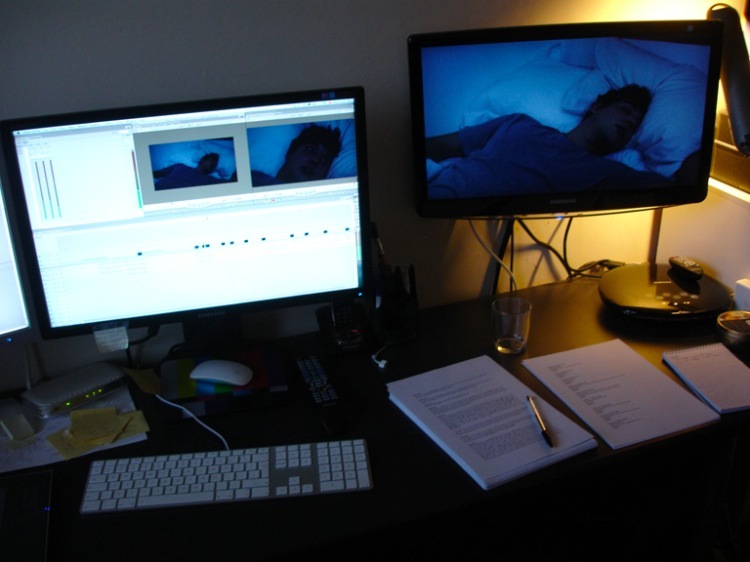 The paper edit also allowed us to move extremely quickly once Murat had finished his organisation: the actual editing of the rough cut took only three and a half days. Of course, this slightly cerebral way of working wasn’t without its drawbacks: the ideas might have been there, but at times the feeling wasn’t. There had, in a way, been no proper exploration of the material, and, as Murat and I worked on the rough cut, it was clear that some of the edits worked far better on paper than on the Final Cut Pro timeline. But even during those initial three and half days we were able to begin finding the right weave for our threads and, even better, at the end of them we knew that we had a film that worked. The story, the structure and the performances were all there. Yes, there was (massive) room for improvement, but we knew we had what we needed, and we’d found it out in time for Tom to give us his feedback before he went away. Using Tom’s comments, Murat’s thoughts and my own feelings, we then spent several weeks working on a new cut. 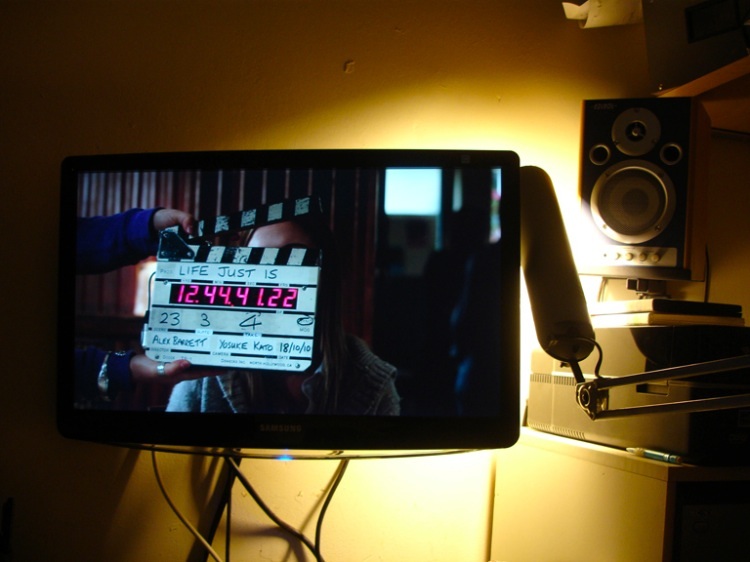 Although this was officially the first proper cut of the film, in reality it was much more like a polished rough cut. Part of the reason for this came down to schedule. In February Murat had a job which would take him off our film (in body, not spirit!) for three weeks, and we wanted the new cut to be finished before then so we could use that time productively by holding our first test screening. This was definitely a good decision. In the weeks spent polishing the rough cut Murat and I began to explore the material and get more of a sense of what was and wasn’t working, while at the same time not walking before we could run: it was all part of getting to know the material and discovering the exact nature of the film that we were making. Prior to the screening, I wrote up a long questionnaire for our test audience to fill out after watching the film. The aim of the screening was really to find out what worked and what didn’t, what was coming across and what wasn’t: obviously Tom, Murat and I could follow the story and the various character arcs in the film, but we knew them already! So we wanted to find out if other people could too. Ultimately, we ended up also doing a screening for a few select crew members, and although they didn’t come to the film as fresh as some of the people who attended the first screening, their feedback was also invaluable in helping to determine exactly what areas of the film were not yet working in the way they needed to. After the screenings, I spent about a week processing the feedback we’d been given, looking over the film again myself, and making nine solid pages of notes and suggested changes. Independently of all this, Murat had also been through the film again and made his own list of suggested changes. When we met again for the first time after the break, we spent a whole day talking through the film and discussing exactly what changes we wanted to make. The new list that we drew up was not just about trying to fix problems (as it happens, there weren’t too many), but equally about exploration: now was the time for us to really start pulling things apart and exploring our options – while also doing our best to hold on to all the ideas which I had laid down in the paper edit. 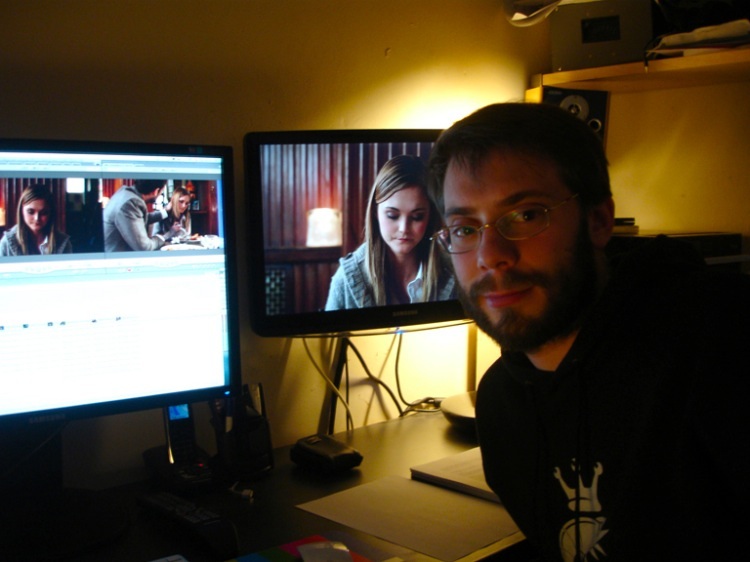 Murat refers to this period of the editing process as our ‘fine cut’. When compared to the three and half day rough cut and the three-week rough cut polish, the fine cut is a long process. The film itself takes place over seven days and, when working on the different cuts, we have always started by working on each individual story day before assembling the film and continuing from there. At the time of writing, we are into our sixth week of working on the ‘fine cut’, and we are currently timetabled to spend at least another week on it before we even assemble it back together and start working once more on the film as a whole. One of the hardest things for me during this period has been to retain my vision for the overall film when working in such a detailed way on each individual scene/story day. In the six weeks of working on the ‘fine cut’, I have only once seen the film all the way through, and that was the polished rough cut. In a sense, Murat and I are working on faith at the moment: faith that it will all fit back together as planned! But I’m confident that it will. In working on this new cut, Murat has found an approach to the material (call it a style, if you will), and by keeping this consistent across the scenes I know that the individual pieces will slot back together. Furthermore, our intentions for this new cut were so thought through and planned before we started it that I believe we have been able to maintain a clarity of vision for the overall weave – a clarity which we would not have had if we hadn’t completed the rough cut before undertaking such an extensive exploration of the material. Working on this fine cut has been a great learning experience in terms of working methodology. As I had such a strong hand in shaping the original rough cut (it was based on a paper edit which I did alone), it was agreed that now was the time for me to give Murat more space to explore things on his own. Although there have been some scenes which I have taken away and looked at myself, typically the way we are working is as follows: we discuss a scene, Murat spends time alone working on it, then I look over the new cut, we discuss it again, and then refine it further based on my feedback. At first we would meet up to watch the new cuts and work on them straight away, but we quickly found that this wasn’t working. I was having to give feedback before I was ready, before I had had a chance to digest Murat’s suggestions and understand their implications. This meant, at times, that I was too quick to reject ideas or that I accepted them without thinking them through. Once we realised this, we struck on a much better way of working: Murat would recut the scenes and then email them to me (during the organisation stages of the postproduction period, Murat had configured the project in such a way that my laptop setup mirrored his desktop one, meaning that we were able to email Final Cut Pro project files back and forth and load them up in each other’s systems). This new way of working meant that I could look over the new scenes, sleep on them, look over them again and then make notes on suggested changes, or even try things out myself. It’s a much better way of doing it, as it means that I really have time to think through not only Murat’s ideas, but also my own. And where will we go from here? Well, I guess in truth that depends on how the film works when we stop working on individual story days, put it all back together and polish it up. At the moment I feel it will take another pass, or maybe two, at working on the whole film before we’re done. But if the fine cut works as well I believe it will, I think the finish line will at least be in sight. But who knows? Perhaps our next round of test screenings will tell us otherwise. One thing’s for sure though: first we have to finish the fine cut! 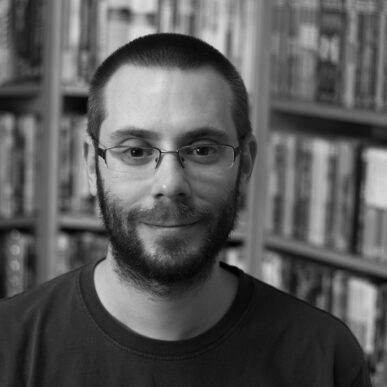 I’d like to say a big thank you to Murat for checking over this article, and of course for all his hard work on the edit so far.